Mailchimp for LemonStand adds your customers and their order details to your Mailchimp list. Use customer purchase data to send product recommendations, abandoned cart emails, and more. In this article, you'll learn how to connect and disconnect Mailchimp for LemonStand. 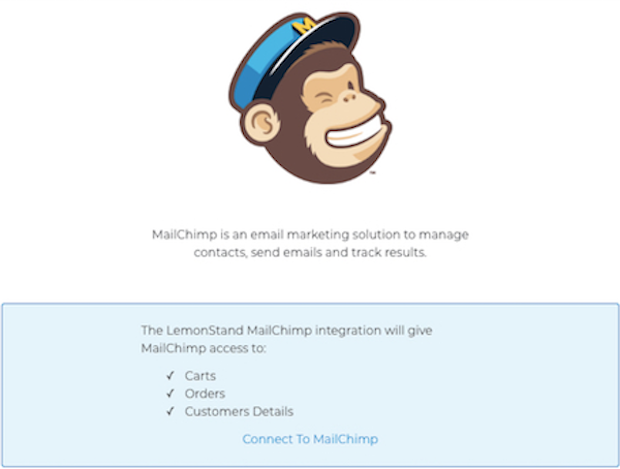 Mailchimp for LemonStand is available to LemonStand users on all plans. To view the e-commerce features supported by this integration, visit the Lemon Stand listing in your account. 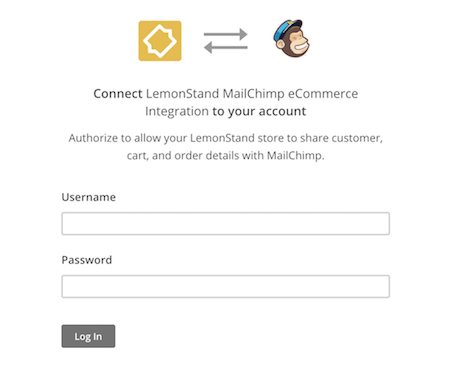 When you connect your LemonStand store to Mailchimp, we’ll sync your LemonStand customers, subscribers, and order history to your Mailchimp list. 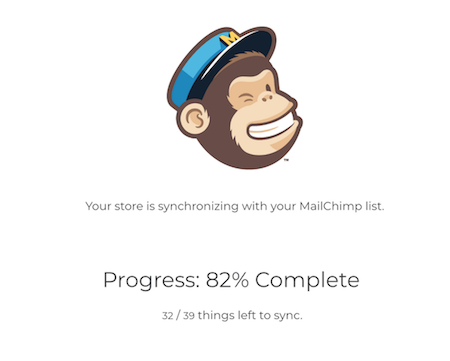 Once the initial sync is complete, data will continue to update automatically from LemonStand to Mailchimp. Customers who opt in for marketing are synced to Mailchimp as subscribed contacts while customers who do not opt in will appear as non-subscribed customers. To connect Mailchimp for LemonStand, follow these steps. Log in to your LemonStand account. Click the Integrations drop-down, and choose Applications. Find the Mailchimp listing and click Configure. Input your Mailchimp login credentials, and click Log In. 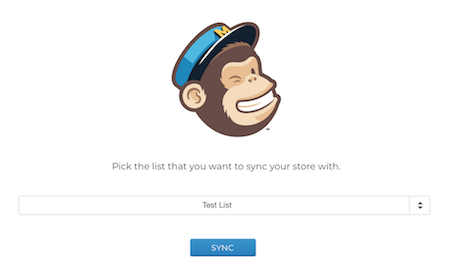 Choose the Mailchimp list where you want to sync customer information. After the sync, you'll be able to access Mailchimp's e-commerce features. 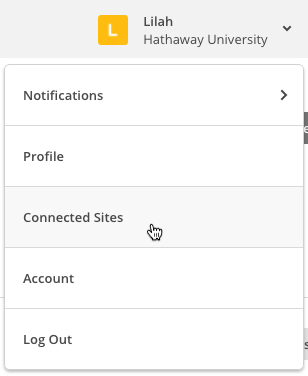 In your Mailchimp account, you can visit the Connected Sites page to view the site details for your store, which allows you to quickly see the status of the integration or add and manage e-commerce tools. To view your site details, follow these steps. From here, you'll be able to view your synced list, or add and monitor e-commerce automations that use data from your connected LemonStand store. After you connect your LemonStand store to Mailchimp, you can reach customers with purchase activity segmentation, send abandoned cart emails, as well as custom product recommendations. 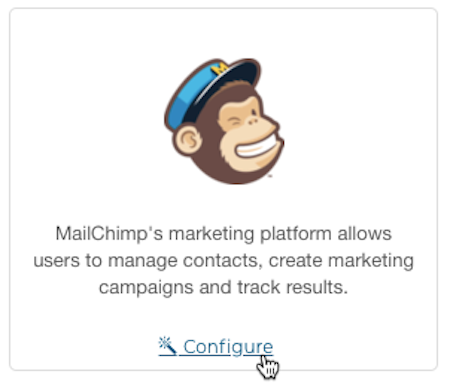 Find out what Mailchimp has to offer with these guides. To disconnect Mailchimp for LemonStand, follow these steps. In the Integrations drop-down, click Applications. After you disconnect your store, data such as order history and product information will be removed from Mailchimp. Subscribers will remain in your Mailchimp list.